One I've just come across from one of our camping trips. 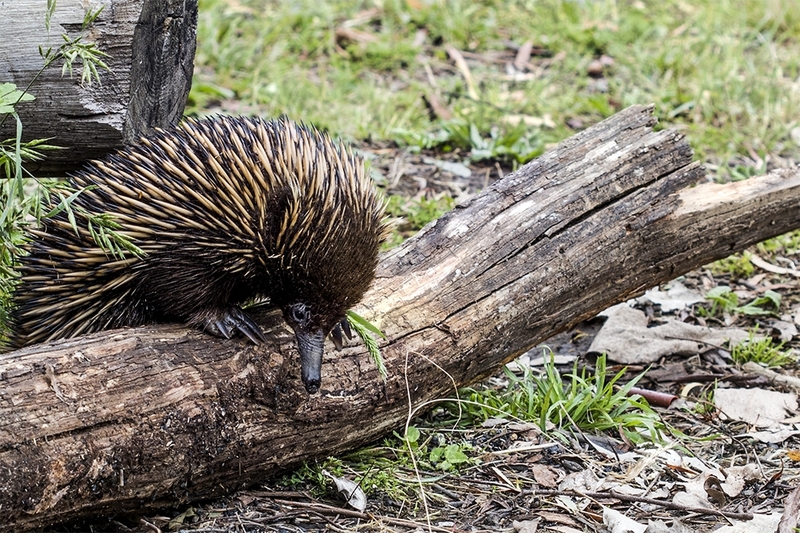 This Echidna came waddling through our campsite and rummaged through the still warm fireplace. Presumably looking for roasted insects. Nicely captured Brian, interesting looking creature - looks like a giant hedgehog. t's just about what they are, Rye. They even roll up into a ball like a hedgehog. Being a monotreme, they lay eggs. Weird! Fascinating creature. Are they fairly happy around humans? To a certain extent,John. But, like most wild animals, they're happiest if you just leave them alone.